Want A Safer Garage for Your Kids? When you organize your garage, your main objective often involves making the garage cleaner, more functional and pleasing to the eye. However, if you have children who come in and out of this space, it also needs to be safe for them. Here are some tips to help you make your garage as kid-friendly as possible. 1. Put hazardous materials away. Keep any hazardous materials, such as paints, chemicals, sharp tools and other dangerous items, in safe locations. Depending on the setup of your garage, you may put these items locked away in custom garage cabinets or out of reach on high shelves. Not only will this keep your children safe, but it will also protect the health and safety of any pets who may wander into the garage. 2. Install a garage door opener with a sensor. Electronic garage doors can pose a risk to children and small animals that may run under the door as it closes. To prevent accidents and protect your kids, install a garage door opener that comes with a motion sensor. This sensor will stop the door from closing if it senses movement in the door's path. After installation, test your sensor periodically to make sure it is still working properly. 3. Install an epoxy floor coating. Garage floors can be slick, which leads to slip-and-fall accidents. This hazard can pose a risk to both children and adults alike. To increase traction in the garage and reduce the risk of falls, install an epoxy floor coating. In addition to making the floor safer, these coatings will also make your garage floor easier to clean and maintain. 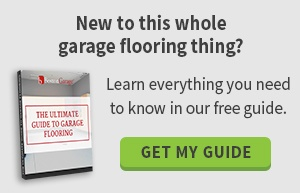 Other custom garage flooring options are also available. Talk to a professional to see which option is best for you. 4. Keep your garage closed. If you aren't inside the garage, keep the doors closed. Otherwise, neighborhood children or even your own kids may wander inside and get hurt. Open garages are also tempting to animals, especially in the winter months. 5. Teach your kids about garage safety. Even with all of the best preventative measures in place, accidents may still happen in the garage if your kids aren't careful. Talk to your children about the risk of falls in the garage. You should also teach them not to go through cabinets or play with anything they find when they are inside the garage. 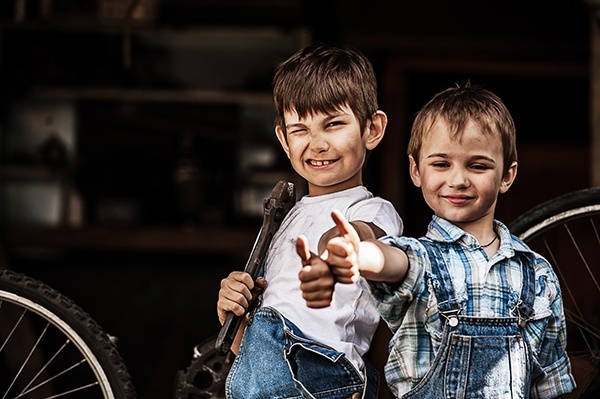 If you have children that are still too small to understand the rules, don't allow them to spend any time in the garage without direct supervision. Contact us for a free design consultation to see how we can make your garage a safer space your kids.